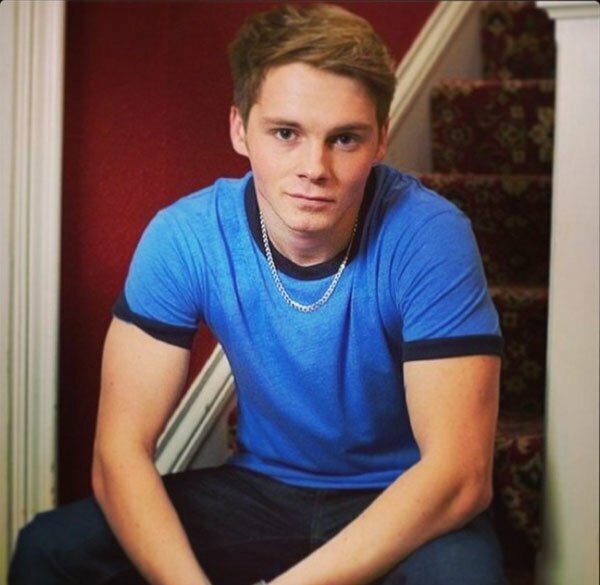 Earlier today, it was teased that EastEnders actor Sam Strike was in talks to join a major Hollywood film franchise. At the time, there was a great deal of speculation that he could wind up being Marvel Studios' choice to play the new Spider-Man - but it turns out that guess couldn't have been further from the truth. Instead, it looks like he is playing a young Leatherface in a new Texas Chainsaw Massacre prequel. The Wrap has confirmed with multiple sources that Strike is in talks for the lead role in the new movie, titled Leatherface, but has not yet 100 percent closed his deal. The feature, which is being directed by French filmmakers Julien Maury and Alexandre Bustillo, is expected to be set in the 1970s and follow the early years of the titular horror icon as he grows up. Strike is in negotiations to play Jackson, "the teenager who grows up to be Leatherface." In recent history, origin stories for horror icons have been a bit of a mixed bag. On the terrible side there are movies like Hannibal Rising, but then there are pretty damn good titles, like what Freddie Highmore has done as Norman Bates on A&E's Bates Motel (which will soon be starting its third season). Hopefully the Leatherface prequel will work, but I will say I have my doubts, as the last outing for the franchise, Texas Chainsaw 3D, was beyond terrible. Then again, maybe this movie can be the ultimate redemption. Newcomer Seth M. Sherwood is writing Leatherface's script, and Millennium Films is putting the production together. At this time there aren't any details regarding when production is going to start, and there hasn't been a release date scheduled yet. Now that the project has found its lead, however, things might start moving fast. Stay tuned in the coming weeks and months for more updates, as new actors join the cast and new details are revealed about the plot.